Nasal Surgery or Rhinoplasty is the surgical alteration of the nose to change its shape and/or improve its function. While nasal surgery is among the most common procedures performed by plastic surgeons, it is also one of the most complex operations. Dr. Bassichis is uniquely qualified for nasal surgery as he is double board certified in both Facial Plastic and Reconstructive Surgery as well as Otorhinolaryngology (Ear Nose and Throat Surgery). As a Facial Plastic Surgeon specializing exclusively in cosmetic and reconstructive procedures of the face, he takes special interest in performing nasal surgeries that improve the aesthetic appearance of the nose while simultaneously improving breathing function to achieve optimized outcomes. Cosmetic rhinoplasty can correct a variety of conditions including an over-sized nose; a hump on the bridge; an undesirable shape of the nasal tip; or a narrow or wide span of the nostrils. Both frontal and profile views of the nose can be corrected to complement other facial features and achieve balanced facial proportions. However, not all nose surgery is performed for strictly cosmetic purposes. Rhinoplasty can correct internal structural abnormalities such as deviated septum which can lead to breathing problems, chronic stuffiness, post-nasal drip and even snoring. Some nasal surgeries performed for functional breathing issues may be reimbursed by medical insurance. However, many of our Dallas rhinoplasty patients elect to add a cosmetic component to achieve the best aesthetic outcome from their functional surgery. To optimize the cosmetic outcome of your nasal surgery, Dr. Bassichis may discuss other procedures such as chin or cheek implants to balance your facial features. For each rhinoplasty he performs, our Facial Plastic Surgeon Dr. Bassichis seeks to achieve healthy natural outcomes that are both functionally and cosmetically successful. He customizes each rhinoplasty to each patient in Dallas with the goals of creating a well-proportioned nose that enhances the beauty of the eyes, is in harmony with other facial features, and allows for healthy nasal function. As each nose requires a unique approach, Dr. Bassichis will discuss your individual goals for nasal surgery. Digital photography and advanced computer imaging software can be extremely useful tools to communicate aesthetic desires and to envision your final results. While not a guarantee of outcome, it is an important communication tool for the Dallas patient and surgeon to visualize realistic expectations for rhinoplasty. It would be our pleasure to see you for a personal consultation with Dr. Bassichis regarding rhinoplasty and to make your surgical experience the best we possibly can. 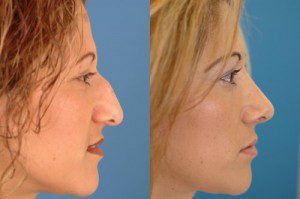 A good candidate for a rhinoplasty is anyone who is unhappy with the appearance of their nose and/or cannot breathe through their nose. Candidates should be in good physical health, be psychologically stable and have realistic expectations for the outcome of their surgery. No one is too old for nasal surgery, but adolescents who have not completed their growth phase or are emotionally immature may consider delaying the procedure. Dallas patients who cannot breathe through their nose or are troubled by chronic snoring may benefit from functional rhinoplasty – some of which may be covered by medical insurance. How Do I Know If My Expectations Are Realistic? If you are considering rhinoplasty, be sure to openly and honestly discuss your expectations with Dr. Bassichis. During your consultation, you will be asked what bothers you about your nose and what you would like to change. Dr. Bassichis will examine your nose aesthetically and assess nasal function. Dr. Bassichis will evaluate the structures of your nose such as the underlying nasal bones and cartilage, your overlying skin, and other facial features. It is important for you to provide any history of trauma or surgery that you have had to your nose as well as any seasonal allergy problems or other medical problems. After your evaluation, Dr. Bassichis can tell you if your expectations are realistic and whether rhinoplasty will enhance your facial appearance. Is There a “Perfect” or “Ideal” Nose? Even in our “Extreme Makeover” world, there is no single nasal shape that will compliment the natural beauty of every face. 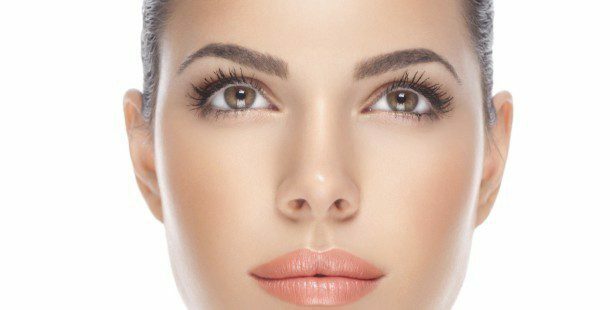 Rather our Facial Plastic Surgeon Dr. Bassichis in Dallas focuses on surgical changes to enhance each individual’s natural facial beauty, and not to create a plastic, unnatural or “operated” look. An ideal surgical outcome is one which optimizes your appearance, yet preserves the uniqueness that is YOU. What If I Have A Broken Nose Or A Deviated Septum? Because of the prominent position of the nose on the face, it contains the most frequently injured bones on the face. Forgotten, neglected or overlooked injuries can lead to nasal obstruction, a deviated septum, or crooked nose. Deviated septums and broken noses are often corrected at the same time as cosmetic nasal surgery. Following surgery, our Dallas patients are thrilled to be able to breathe through their nose again not realizing the magnitude of difficulty that they had breathing through their nose prior to the procedure. So if you cannot breathe through your nose or are troubled with chronic snoring, our Facial Plastic Surgeon should evaluate you for rhinoplasty. Some of these cases may be covered by medical insurance. As a double board certified facial plastic surgeon specializing exclusively in facial procedures, the advanced surgical techniques used by Dr. Bassichis can reduce the incidence of significant post-operative bruising and swelling. Most Dallas patients return to their normal routines one week after surgery and vigorous exercise can begin at two weeks. Final results are usually realized in six months to a year. Can I Choose The Nose I Want? Within reason. Digital photography and computer imaging can be very useful in visualizing what your final result will be. While not a guarantee of results, it is a great benefit in preoperative planning. It can assist you and Dr. Bassichis in determining a reasonable healthy outcome for your rhinoplasty, as well as indicating what is not possible from surgery. Clearly discussing your expectations with Dr. Bassichis is crucial to your satisfaction with the procedure. If you are self-conscious about your nasal appearance, rhinoplasty surgery can reveal new possibilities for changing your appearance and your self-image. We invite you to click the image below to be connected to our RHINOPLASTY PHOTO GALLERY. For additional questions, or to schedule a Rhinoplasty consultation, contact our Dallas office at 972.774.1777.